1. 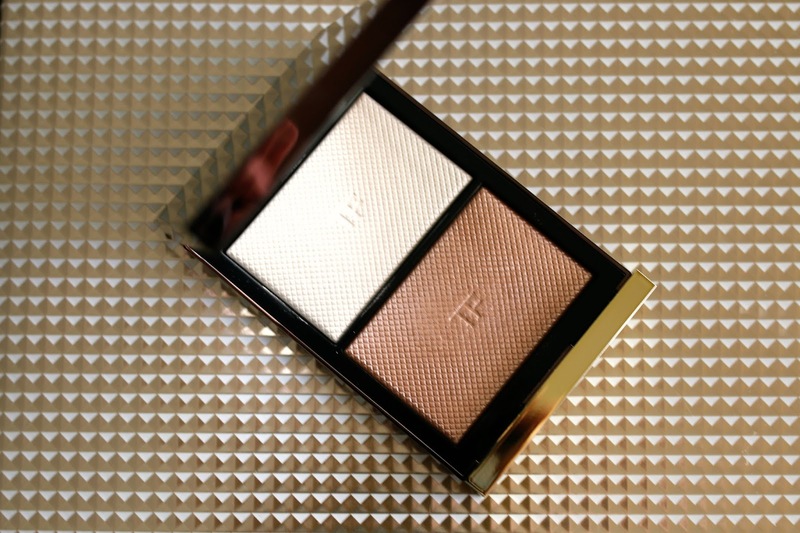 Tom Ford Moodlight - I pick and choose my Tom Ford items selectively. I know many people love the Tom Ford brand, but it's hit or miss with me. I swatched this highlighter/illuminating duo in store and fell in love immediately. The shimmer was just enough to create a beautiful glow, and both shades wore beautifully on my skin. The deeper shade wears well as a bronzer for me, while the opal shade is perfect for a subtle cheekbone highlight. I have actually worn this during the day to work and it is natural enough to enhance but not distract. This Tom Ford gem is definitely a hit for me. 2. 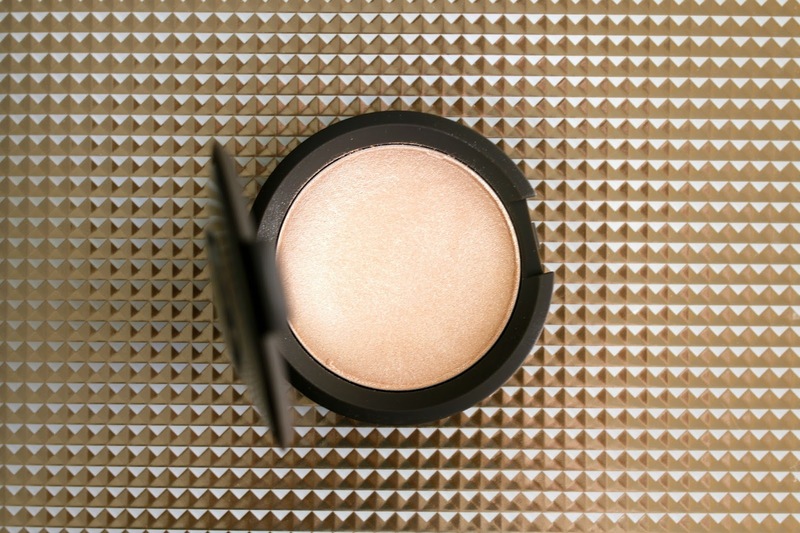 Becca Cosmetics Shimmer Skin Perfector in Champagne Pop - The buzz surrounding this product was almost deafening. I bought it online sight unseen, though I already knew it was going to be bold. Swatches are all over the internet so I knew what I was in for. This is definitely for evening since it gives a strong shimmer/glitter and looks very yellow on my skin. However, I can't deny that it is stunning. The texture is very smooth and can be worn on any skin tone which is wonderful. I probably will never hit pan on it but I'm glad I have it in my collection. 3. Cle de Peau Beaute Luminizing Powder in Delicate Pink -This highlighting powder is not new, but one that has been on my wish list for a long time. I'm excited that it's finally part of my collection as it is one of the most delicate yet magnificent highlighters in my collection. This particular shade has a pale pink undertone and because of that complements my skin tone perfectly. I have been enjoying it dusted on the tops of my cheekbones, but for the weekends have been adding it over top of my blush for an added glow. 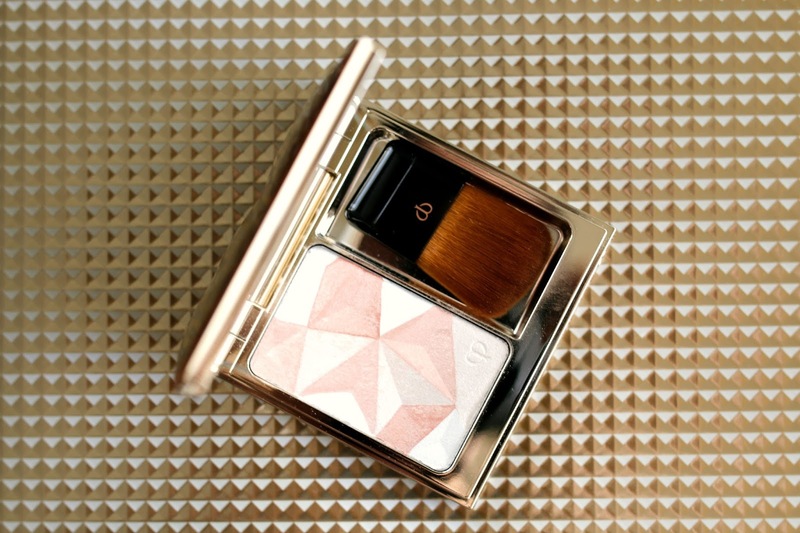 And as a packaging junkie, the compact that it comes in is just as pretty to look at as the powder itself. All in all, I predict it will become a favorite very quickly. The swatches of all three compacts are above: Champagne Pop is on the far left, Cle de Peau Beaute is in the middle and Tom Ford Moodlight is on the far right. Do you have any of these highlighters? What are your thoughts? Leave me a comment below!